If you learn with your head and your hands, we’re here to help you make your future. Spend about 70% of class time in lab, working on current automobiles with the same equipment and software you will find out in industry. 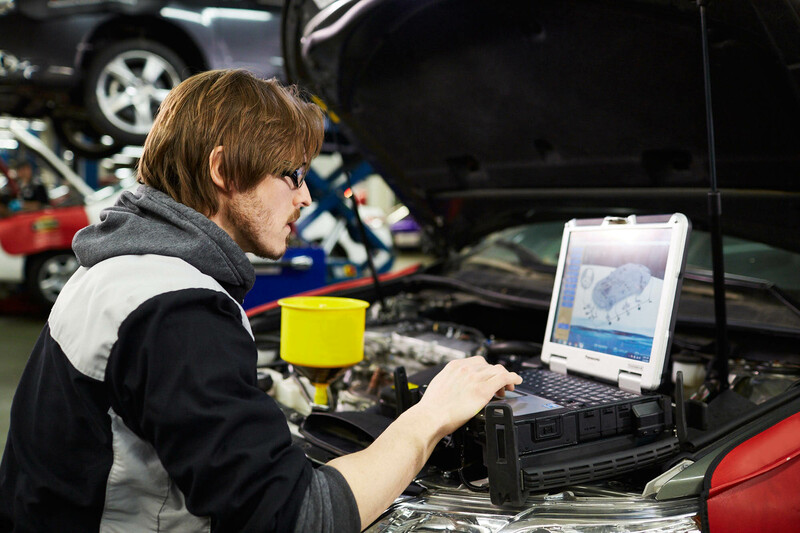 Dunwoody offers training in general automotive services with options to specialize in Audi, Honda/Acura, Mopar (including Chrysler, Dodge, Ram, Jeep, Alfa Romeo, and Fiat), Toyota/Lexus, and Subaru. Ready to learn more? Fill out the form to receive more information. Interested in automotive, but looking for a different option?